We’re excited to share an exclusive Q&A session with Jessica Williams, Co-Facilitator of 1871’s WiSTEM program, and Terri Brax, Founder and CEO of Women Tech Founders, as they discuss the different ways that women can empower, support, and advance themselves and each other in the workplace. 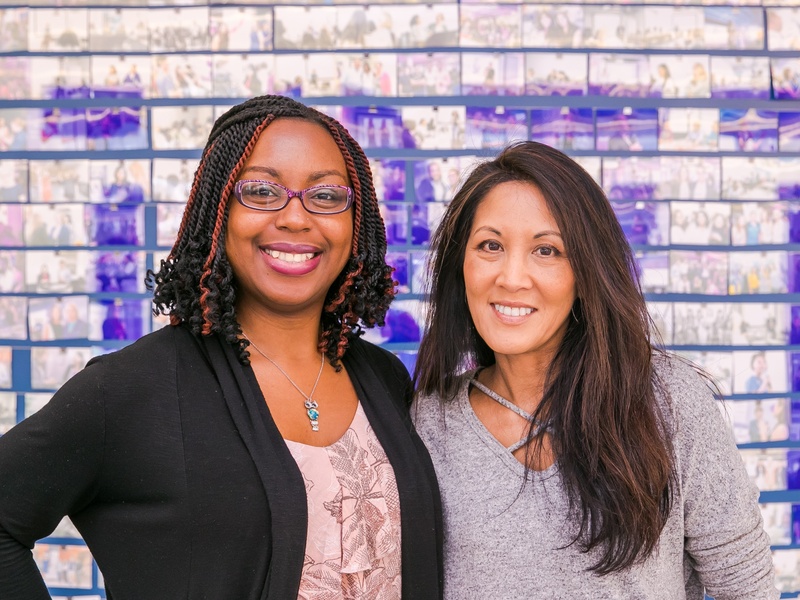 WiSTEM and Women Tech Founders entered a partnership this year which will give WiSTEM graduates a free one-year membership at Women Tech Founders and a 20 percent discount on membership and events for all 1871 members. The partnership will also provide both organizations to share programming, mentorships, and positions on each organization's respective leadership and advisory council. Jessica Williams (L) and Terri Brax (R) share their thoughts on diversity, inclusion, and the power of community. Let’s kick off this Q&A by talking about what drives you -- where do find your inspiration to keep dreaming of bigger and better things and what have you learned along the way? Brax: I find a lot of that inspiration through our community. I think WiSTEM is a good example -- it’s a great resource for women to come together and support each other. And what I’ve learned is that there’s so much strength when you see women leaders stepping in and helping other women grow their capabilities and skills or navigate through a particular problem. When you’re a part of that, it really is powerful. It’s also important to see people who can represent your potential, such as a role model or just someone who is from a similar community. Williams: I absolutely agree with all of that! I see that a lot when I come to Women in Tech events as well. Women Tech Founders and WiSTEM already support each other, and now we are coming together to create a life-cycle for the female entrepreneur. There’s such a wealth of resources that are here for women entrepreneurs and it really reinforces our community when we share them and support each other. And then, a lot of women come up to me during our WiSTEM showcases and tell me about how excited or inspired they are -- for me, that’s really valuable and a huge source of inspiration. Let’s flip the script a little bit and take a look at doubt. There are probably times when you had doubts about the programs or initiatives that you were building. What keeps you going and how do you approach challenge and adversity? Brax: Well, I see so much inequality across different industries; politics, media, business, and tech are just a few of them. My objective is to equalize some of that. I’m absolutely committed to making sure that everyone is treated equally in whatever their field of expertise is regardless of their gender or ethnicity or the color of their skin. That’s my why and as long as there is inequality in those spaces, I’ll keep going. I remember being at the Women’s March and there was this little girl who had a sign that read, ‘little girls with big dreams grow up to be strong women with power.’ Things like that -- that’s a big part of why I do it. Williams: I’m the same way, and for me, I’d also add that community is such a big part of it. I know that, with WiSTEM, I’m helping to build a community where women can be vulnerable and share a lot of the struggles that they’re dealing with and that’s been amazing to experience. That gets rid of a lot of the doubt because you see all of it happening right in front of you. And then, I love that I’m able to do what I’m passionate about whether that’s removing obstacles for women or helping them get to the next level. While there are certainly challenges in my journey, I think that I am stronger because of them. Community can definitely serve as inspiration when things get hard. Speaking of community, what do you think is the most valuable thing that your members or participants draw from the community that you’ve built? Brax: I think you have a lot of value in terms of resources such as networks and access to funding, but also some of the things that you don’t always see immediately such as education and inspiration. And then, it’s also about having a really great time; while we do get a lot done when we get together, it never feels like work. You really feel happy for other people who make it and you celebrate when someone gets funding or that job. Sometimes it almost feels like a party -- it truly is a sisterhood. Williams: It’s a sisterhood for sure.You really do want to support them and share in their successes. You want to buy from them and help them out in any way possible. For me, just being able to help them make an impact feels really good. Let’s circle back real quick -- we were talking about equality earlier and that’s something that is missing from a lot of workplaces. On a high level, can you share your thoughts on the value of equality and diversity in the workplace? Williams: Speaking as a black woman, I’m oftentimes the only woman in the room and even in that scenario, I’m still the only minority in the room. I think I do have a different perspective or view on certain things and that can really add value to the conversation or decision-making process. If you’re talking about creating services or creating communities, then it’s really important to have a variety of different voices in the conversation so that everyone can have a seat at the table and feel included in the product that you’re building. Brax: I think that you are seeing a lot of research coming out today that speaks to the value of diversity. There are so many studies out now that show how diverse teams can improve your bottom line. I grew up in a diverse household, and so I learned that it helps to not generalize and that people get to know each other on an individual basis. That’s the end goal. That’s a great goal to have -- diversity and inclusion are both objectives that we should always strive towards. How close do you think we are to achieving that here in Chicago? Williams: I think the fact that we’re here having this conversation is proof in itself that we’re doing well in that regard. 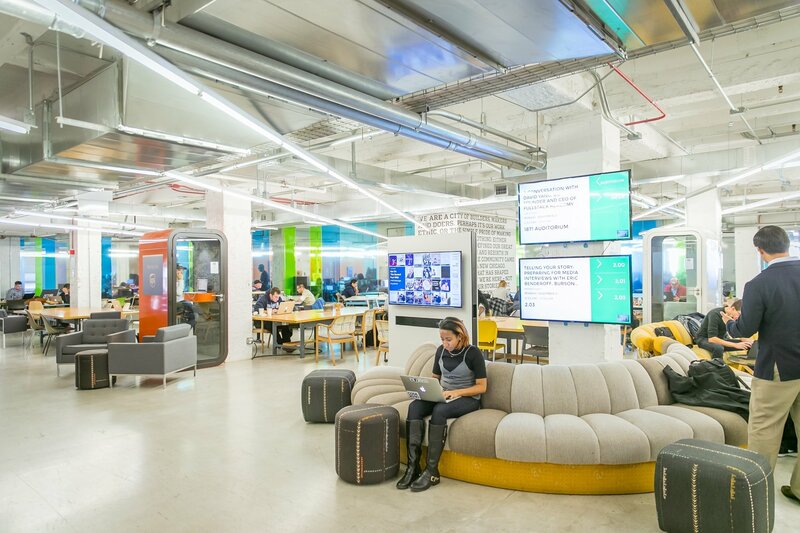 You and I represent two organizations here that are focused on diversification and equality along with so many others at 1871 and within Chicago’s greater tech community. To see all of that happening and to see all the attention that it’s getting is really inspiring; I just hope that we can get to a point where everybody feels like they are included. Diversity is one thing, but I think that inclusion is a whole different story. An example would be a diversity initiative that adds a diverse person to a particular team or group. Well what if that team or group isn’t diverse? There can be issues with that too, and that’s a conversation that we should be having as well. Brax: Absolutely -- you can’t just put one person in a room and say ‘we met our diversity quote.’ You can’t just check the boxes, you have to build an inclusive environment where everyone feels comfortable. I remember seeing a study that said companies needed at least three diverse members on their team to build an inclusive environment and I really do believe that. If it’s just one person, it’s easy to generalize and that’s what we want to avoid. We want people to feel comfortable, to be seen as individuals and not for the color of their skin or their gender. While we’re talking about Chicago, what does it mean for our city’s broader technology ecosystem to have a hub like 1871 where communities like WiSTEM and Women Tech Founders can come together and amplify each other? Williams: It’s great to have a space where people can easily communicate with each other. I’ve heard of stories on how people have secured funding or an investment during a five-minute chat around the printer. And then, there’s just so much information that just travels through a place like 1871. Since I started here, there’s just been heaps of news and opportunities -- not to mention celebrities -- that have passed through the space. Just by physically being here at 1871, you can learn and hear things that you would have missed otherwise. Brax: That’s so true! There’s so much value in these smaller conversations. Maybe it’s a quick chat by the water cooler or the microwave -- but just bringing everyone closer together to enable that is a great way to build networks. A quick chat might last three or four minutes but the right connection can last a lifetime. And I agree about how much access you can get by coming to a place like 1871, especially when it comes to entrepreneurship. Having access to the right information and the right networks can make all the difference, and I think that having an inclusive, diverse environment like we have here makes our community even stronger. To learn more about Women Tech Founders, visit www.womentechfounders.com. 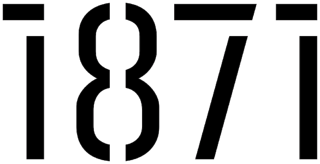 To learn more about WiSTEM, visit www.1871.com/wistem.